The number of elderly people living alone is increasing as our society is getting older. In Spain, 1,8 million of elderly people are living alone and the 25% of them do not meet anyone during the whole day. Mainly, this situation has not been chosen by themselves. Moreover, more and more family members live far from each other (due to work, studies, relationships) and this influences our communication relationships. It seems that technological progress in this field helps to keep this relationships but what happens when people cannot get used to this technological changes? How can this affect on people’s wellbeing and their family relationships? These thoughts lead to investigate about how elderly interact with the surrounding and viceversa, the impact new technology has in communication relationships in our society and its effect on people. The result of this process is Lorapots, a set of two flower pots that allow people to communicate with each other as well as take care of their plants or flowers together. The aim of Lorapots is to strengthen family ties between elderly people and their relatives so as to enhance elder wellbeing (influencing positively in their self-esteem, reducing loneliness and creating social awareness). In order to achieve this, the action of watering plants becomes a new way for interacting with each other, sharing time and growing plants together. Thus, Lorapots turns into a more human, intuitive and natural communication channel and code between people which deals with elder people needs, allowing people to feel and communicate with each other through the plant and its soil. Moreover, this new manner of establishing communication overcomes the technology discrimination that most elderly people suffer nowadays (which can lead to loneliness) due to not being able to get used to or understand how new technologies (which have huge impact on the way we build our relationships, we communicate, we live) work. How does it work? Each Lorapot contains a humidity sensor which detects its soil’s humidity. When one of the plants is watered (humidity change is detected) it will send this information to its microprocessor. This microprocessor will send this data to the second Lorapot’s microprocessor via WI-FI. In case watering is needed in this second Lorapot (the soil’s humidity sensor will measure the moisture level), its pump will be activated and plants watered. We could say that Lorapots makes cultivating plants into cultivating relationships, caring about people. 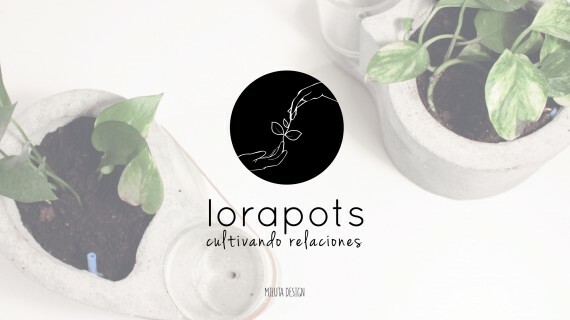 Moreover, the plants inside Lorapots become the result and the essence of the relationship, caring and the love between people sharing Lorapots. Furthermore, these plants also create awareness of belonging, give presence to the loved ones and influence on people’s wellbeing.